It was the second straight extra-innings loss for Canada, which fell in 10 innings to the Dominican Republic in the semifinals on Saturday. Nicaragua, starting the top of the 10th with runners on first and second base due to international tiebreak rules, scored both and added two more runs to pad their lead in an inning that left the Canadians puzzled at the umpires' rulings. Up 11-10, Nicaragua had the bases loaded with nobody out when a ball was lifted to deep right field. Tristan Pompey of Mississauga, Ont., robbed the batter of a grand slam with a catch over the wall and out was signaled by the right-field umpire. The catch seemed to surprise the Nicaraguan base runners, who had circled the bases and crossed home plate thinking that the ball had dropped. Canada appealed to first, second and third base in an effort to complete a triple play, but the officials signaled safe at each bag. The Canadians scored twice in the bottom of the 10th to keep it close. Former Blue Jays outfielder Michael Saunders of Victoria had a chance to plate the winning run, batting with the bases loaded and two out, but he couldn't cash in on the opportunity. Canada had already qualified for the Pan Am Games this summer in Peru by finishing in the top four of the seven-nation qualifier. Oshawa, Ont., native Eric Wood, a third baseman in the Pittsburgh Pirates organization, hit a grand slam for Canada to tie the game 7-7 in the seventh inning. 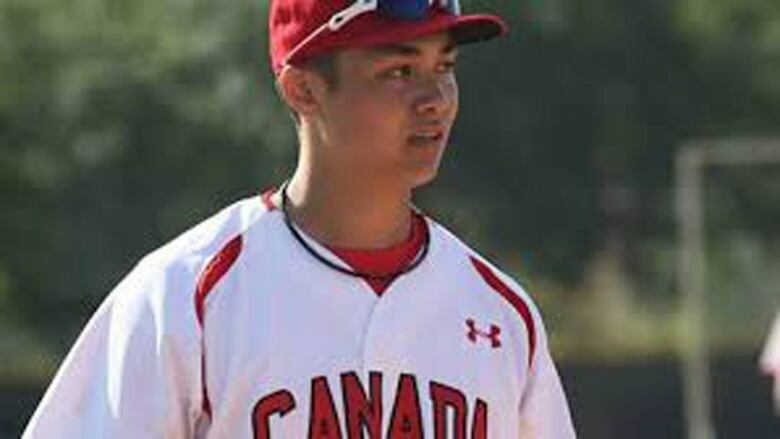 Cather Andrew Yerzy of Toronto followed with a two-run double and Pompey, the younger brother of Blue Jays outfielder Dalton Pompey, added another RBI to give the Canadians a 10-7 lead. But Nicaragua chipped away in the eighth, manufacturing three runs on two hits, two errors and a wild pitch from Andrew Case of Saint John, N.B., to tie the game once more. Canada is the defending two-time gold medallist at the Pan Am Games. The Canadians beat the U.S. in Mexico in 2011 and again in Toronto in 2015. The baseball tournament at this year's event runs from July 27 to Aug. 4t in Lima, Peru.